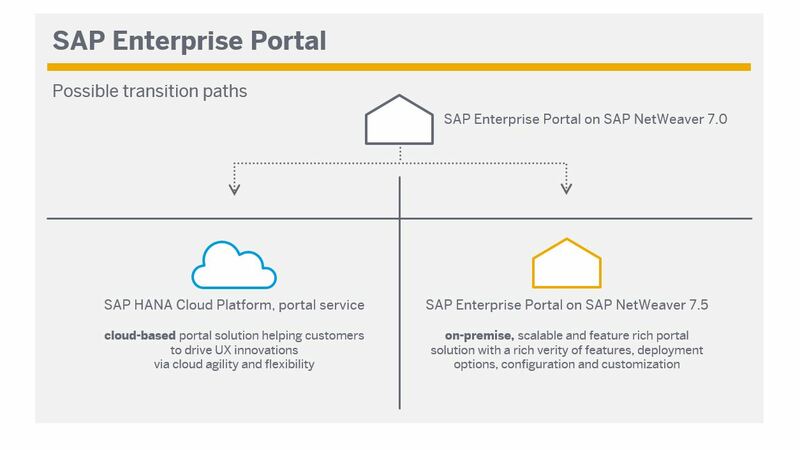 Thousands of customers around the world successfully run SAP Enterprise Portals to provide their employees, customers, and partners a central and intuitive access point to business applications, information, and services. Are you running SAP Enterprise Portal on SAP NetWeaver 7.0 or an older SAP NetWeaver version? Maintenance for the SAP NetWeaver 7.0x Java stack will be offered until the end of 2017. Please also see SAP Note 1648480 for further informatoin. Thus it is time to make a decision on the future of your portal. We have scheduled a free webinar where you can learn how SAP can help you on your journey to the future of your portal. Looking forward to seeing you in our live webinar where you will also have the chance to ask all your open questions. The session will also be recorded so that you can watch it later in case you are not able to join during the scheduled times. The links to the webinar are not working anymore. Registration was closed. The first webinar is taking place right now. But the recording will be provided by the SAP Enterprise Support Academy. I will post the recording link here once it is available.